Behind the Book: Just What is the Golden Fleece? After meeting Jason last week and learning about his rather pacifist attitude toward his uncle Pelias who usurped power in Jason’s kingdom, you’ll remember rather than fighting for the return of his rightful claim to the throne, he simply accepted the challenge to go fetch the Golden Fleece. But before we toss Jason into his adventures, let’s find out what the big deal is about this treasure. Not quite magical or golden, but still cute. King Athamas was once married to the sea nymph Nephele (some myths say she was a sky goddess, either way, she wasn’t a boring old human). Together they had two kids, Phrixus and Helle. As kings will do, Athamas got bored with his wife, put her aside and hooked up with Ino. Ino was like all storybook wicked stepmothers and didn’t want Phrixus and Helle interfering with her own children’s chances of inheriting Athamas’s kingdom. To get her stepkids out of the picture, she came up with a rather evil plot. First, she had the overseer of the crops ruin the grain seed so it wouldn’t sprout. Then, she bribed an oracle to say that Phrixus and Helle had somehow angered the gods and that the two needed to be sacrificed or everyone in the kingdom would starve. Since this totally went with the logic of the time, Athamas agreed. Luckily, Nephele had been keeping an eye on things and sent a winged ram with golden wool to swoop in and save her children. But Greeks don’t like a happy ending so, as the ram was flying, Helle fell off and died – the spot where she fell into the sea is now known as the Hellespont. The ram eventually took Phrixus to the kingdom of Colchis that was ruled by Aeetes. Despite the ram having done him quite a favor, Phrixus sacrificed the poor beast (which then became the constellation Aries). Aeetes snatched up the golden fleece of the ram and kept it guarded by a dragon who never slept (too much coffee, I guess). In exchange for the fleece, Aeetes gave Phrixus his daughter Calchiope to marry. 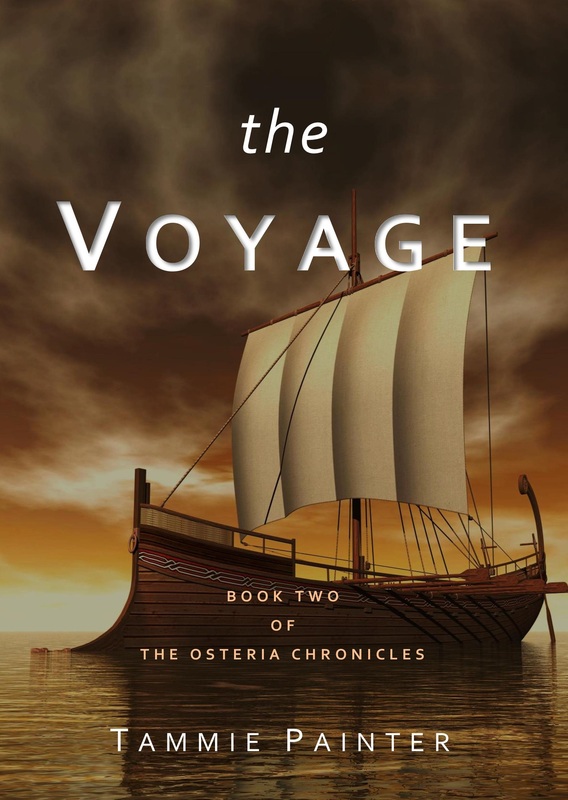 In The Voyage: Book Two of the Osteria Chronicles I decided to open the novel with this legend. Although I’ve stuck to the basic idea of the myth, as with the entire series, I’ve added new depth to the story by working in dialogue, emotion, tension and motivation. I also wanted Nephele a little more involved in the rescue of her children, so I gave her the capability to turn into a winged creature with a golden pelt. And animal lovers don’t need to worry, there’s no sacrifice. Instead, as Nephele returns to her human form, the pelt slips off and becomes a financially-ruinous obsession for Aeetes. And unlike the legend, the fleece in The Voyage has some importance other than just being a treasure to obtain since whoever owns the pelt is destined to become the leader of all of Osteria. Previous Post Behind the Book: Just Who is Jason?